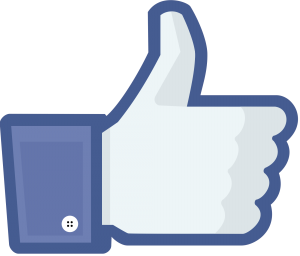 Well, our fans did it again, we’ve just reached 61,000 likes on our BERNINA USA Facebook fan page! As a way to say “Thank You!” to all who join us at Facebook to share your love of sewing and creating, we are hosting another special giveaway. 7″ x 7″ and 7″ x 14″ Cut for the cure rulers. We’ve asked you what YOU like to make. But what’s your favorite handmade gift to receive? Sweepstakes Rules: Open to residents of the 50 United States and the District of Columbia. One comment per fan. Comment must be submitted to the WeAllSew.com blog within 24 hours after blog post posting by October 4, 12:00 midnight Central Time. Winner will be chosen randomly. Winner will be announced about one week after contest ends, and will have 48 hours to contact us at WeAllSew@berninausa.com to claim the prize. Keep checking back here starting next week! Congratulations to the winner of our 61,000 fan giveaway, WeAllSew user janijo! 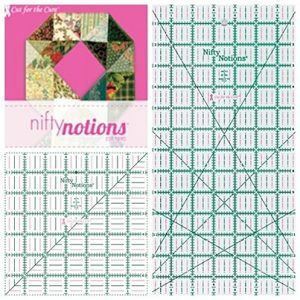 Enjoy your Nifty Notions Cut for the Cure rulers, janijo! What handmade gift I like to receive is something that I can’t make myself: a floral arrangement, woven baskets, and anything made by my children and grandchild!!! My favorite hand made items are knitted scarves and hats my sister has made me. I love handmade scarves, too. They are my favorite gift to receive. I like anything someone took their time to make. I love canned goods most because I don’t can. My favorite is potholders! Useful and pretty and thoughtful. I would appreciate anything hand sewn. I especially loved baby quilts and blankets people made for me, but that was years ago! Anything made by my daughter which right now is mostly painting and drawings with glitter! pretty much anything someone took the time to think of me and make it for me I’ll love! “Fan”tastic ! Love all the great things your Blog contains. Facebook Fan and 830 LE happy owner!! My favourite handmade sewn gifts are stuffed animals, or lengths of trim (because I have a number of friends who spin and weave), illustrations (be it sketches or wall-hangings – I have a number of friends who are illustrators). I appreciate all the gifts that I receive, but really love the ones that are personalized. Any thing made by my grandchildren! My granddaughter loves to craft and sew, I have many cherished little gifts from her! My mother has made me several quilts over the years that are incredibly special and some beautiful hand-knitted wool socks. However, I do love to receive homemade baked goods … our neighbor always gives us the most amazing treats at Christmas time! I love the handmade cards made by my grandchildren! I love to get homemade food items, salted caramels, tomato relish, that sort of thing! Wonderful! I love anything homemade…scarves, pillows, bags. It honestly doesn’t matter what the item is, it’s who it’s from and that they took their time and put love into it. And that smile they have knowing they are giving you something from their own hands and heart. I adore handmade gifts!!! A quilt. I make so many and give them away, would like to have one to keep me warm this winter. I love to receive anything embroidered or anything my grandchildren have made hand sewing or with help from grandma. Just love teaching them how to sew!!! I like to receive things I cannot make myself or don’t know how to make yet like beautiful knit or crochet pieces and I always love getting art from kids. Anything that a friend, (or child or grandchild) has made for me I would treasure. I especially love handmade greeting cards that include a special small piece of needlework or quilting or stamping! I love pottery, hand knit items, hand crafted wood items and anything made/given with love. I love getting sewing accessories like needle books, pincushions, etc. Thanks! I would love anything someone took the time to make but especially love wall hangings! I love to receive anything handmade or drawn by my grandchildren, or quilt-related gifts from my quilting buddies. I love to use my Bernina software to turn drawings into embroideries. I like to receive hand made knitted or crocheted items. I feel like every stitch was stitched with love! I love to get earrings! I’ve tried jewelry making, but it just hasn’t taken….I have several very special pairs made by a special friend! Any kind of food item!!! Actually, I love jewelry that my daughters make. Hand knitted or crocheted items! I love anything handmade, but probably the best handmade gift I ever received was an afghan that my mother made me for my birthday. I remember working my nerve up to let her know I was hurt that she made things for everyone else, but I had never received anything. She smiled and said it was because I can make my own stuff. I was crying when I told her that I wanted something she had made. Silly me, it was a few days before my birthday and what she was working on that night was a beautiful blue afghan for me. While she is no longer with me, I still treasure this afghan and love to cuddle in it. I love getting knitted things, but really it’s the thought and the care that has gone into whatever the handmade gift is! I love to receive handmade jewelry from my son, handmade cards from my daughter, anything my little grandson does 🙂 and homemade jelly from my sister-in-law. My most favorite handmade gift would be hand knitted socks! It’s the fact that someone picked out something to take the time to make wiith me in mind……Love anything hand made……..
All things that are handmade are treasures! I love to get homemade goodies in reusable containers as well as homemade ornaments. into making the things that matter to me. I love hand made knitted slipper and items by my sister. I love to receive knitted scarves. Anything hand made is nice! It means they were thinking of you while they made it, and that they were making it with their heart. My favorite handmade gift is a rag quilt my aunt made me. I didn’t realize how much time went in to making one until she came to visit and a bunch of family members tried making one. I have never learned to sew (and just started) but I was helping her do the snips on another quilt and I asked her “Do you really do this for fun? It is a lot of work”. She looked at me and said “Yes, it’s a lot of work, but the happiness it brings others is worth it”. That afternoon, my quilt became 100 times more valuable to me than any other gift I’ve been given. I love embroidery & linens. The most special gifts are one I receive that have combined these 2 things. I love to receive knitted or crocheted items. Although I can do some of the basic stuff myself, I really don’t want to spend the time to do it. I’d rather be quilting. I have about 15 scarfs that my mom has made for me over the years and I use every one of them during the cooler months. I love getting anything home made but would love to get a quilt since I haven’t had time to make one for myself…I love making things for people. I like to receive anything that is new to me, especially art dolls- I love them, but I haven’t made any. They are all so unique and they inspire me! I know you can sew it on your Bernina, but I do love homemade food … like many others, I see! I like almost anything handmade, but I especially like anything knitted since I don’t do much of that myself. My favorite handmade gift is from my granddaughter, who loves to make things. My latest gift was a drawn picture of her with a quilt. She is six and that is the first quilt she ever drew. It was a design I had never made so she has never seen one like it. I was so proud. I love any gift that is made by hand, a quilt, a cake. I love all things that are Home/Handmade…. but what I like the most is the LOVE that went in to making that item! I love anything handmade!! It means the person took time to make it just me. My favorite has to be a quilt a friend made for me several years ago. What a great surprise!! Like all handmade gifts. Do like receiving gifts from fellow quilters…they are made from the Heart. Small purses for special occasions. I like to receive handmade bags! My favorite handmade gift to receive is jewelry. I love the high-end things, real gold and real stones. I could never make my own but am a jewelry collector. I’ve received beautiful handmade tote bags that I love to use. I appreciate any handmade gift. I understand the time and effort that goes into making something special for someone. For me the best homemade items? Cookies!! I like hand made jewelry, that I can wear while sewing on one of my wonderful Bernina sewing machines. I also like handmade cookies and candy they are just the thing to keep the sewing and long arm quilting energy going. I love anything and everything I’m given made with loving hands. My grandson is getting to the age he can “make things” so I am looking forward to covering my refrigerator with his artwork!! My favorite handmade gift to receive is definitely baked goodies! I really love the kinds of things that I receive from my quilty “sisters” during swaps of various types. it’s fun and inspiring to see someone else’s creativity at work, even when it is vey different from your own. the only handmade things I can recall receiving have been cards made by my grandchildren and occasionally a piece of artwork..again, made by the children. There have been a few crochet/knitted items over the years from folks visiting. I love homemade Christmas ornaments! Any handmade gift it truly appreciated. My favorite is the queen-sized quilt, hand quilted, by my mother. She was an excellent seamstress, knitter and crocheter. Since I am the one in the family to quilt, sew and knit, I love it when I receive baked goods. Especially date nut bread. I love to receive handmade couch throws. The kids and I live to cuddle up on cold days and we each get our own comfy blankie. My favorite hand made gifts were things made by my children. I like to receive totes, pincushions, and quilts. Although, I like most handmade gifts. Thanks! I would love anything someone else took the time to make especially for me. I like anything handmade…quilted items, artwork, homemade jelly/jams/preserves, etc. My home is an art gallery of sorts featuring paintings from both my brother and my eldest son, hand carved items from my daddy, quilts & other handmade linens from my mother and grandmother!! I love any kind of handmade gift, especially quilted items! Anything sewn or baked makes me happy. Handspun wool socks that my sister makes from the wool from my alpacas and sheep…so very warm and soft! Oh, dear! I rarely receive gifts, handmade or otherwise, so anything would be great. I do a lot of crafting, so can make many things myself, but it would be nice to receive something I didn’t make myself. Handmade soap would be a treat. I make my own, but would love to try someone else’s creations. I love receiving the handmade, wrapped with love batches of goodies that I sometimes get from relatives. My favorite in too many years to count was the care package from my older sister when I was away from home at college –small town girl goes to mid-size city needs some advice type gift –she sent me a batch of snickerdoodles along with her handwritten recipe — she welcomed me into her adult world with a fun comment here and there through out the very detailed recipe. Now days the same sister gives me a recipe by telling me the ingredients and letting me figure out how much. LOL The wrapping for these handmade gifts is often a placemat that gets well used. Some years the gift is wrapped in yardage –she uses her stash or goes shopping at Good Will and wraps my gift with beautiful fabric. When I moved my quilting friends made a Lost Sock quilt for me that is special to me but I love any kind of hand made items. My favorite thing that someone made for me was a little purse with a zipper about the size of 2″ x 5″. I use it all the time in my big purse and I love it. It was made by my quilting friend. My favorite handmade gift was a custom dog leash and collar…. I like to receive anything handmade really, it is worth so much more than some of the generic store bought gifts. It is great when kids craft something. But my sister made me a crochet cell phone bag (very fine miniature crochet stitches) that I cherish very much. I love to receive anything handmade, especially things that show great use of color (something I struggle with). I like to receive anything that I know someone took their precious time to create for me. As the item is created, I know they were thinking of me. A cousin made me a crocheted afghan that was a “crazy quilt” type pattern with lots of different stitches and she made it mostly with orange yarn, my favorite color. I also like to receive and eat homemade goodies like chocolate chip cookies or a carrot cake. Yum. I loved receiving garments knitted by my mother-in-law. She was a wonderful knitter and person. I miss her but I have saved all the items she knitted for us. I love hand made colorful tote bags to store and carry my art supplies. I would love it if someone made me one in my favorite colors. My favorite gifts to receive are hand stitched pictures that my mom and grandmother used to make. And caftains! Anything from my 10 year old daughter because I know it came from the heart. My wish is to have more fabric, threads, and any extra sewing materials. I just dont have enough to complete projects i want to make for my family. I have my bernina that i love so much but not enough materials. 🙁 i love to receive most any handmade item, small or big, i just don’t receive toomany of those items but when i do, it is most aappreciated. The last thing i received was a handmade apron, an vintage apron. I love it! I would love to have design works and or Quilt Motion. I love to receive any gift that has been handmade. The giver has given thought to a gift just for me and taken time out of their busy life to think of me. I have especially enjoyed scrapbooking greeting cards.